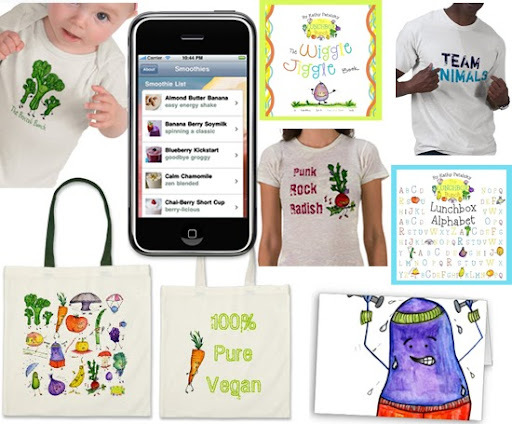 Product Categories: Books, IPhone Apps, Apparel, Greeting Cards, Canvas Bags..
*view a wide variety of products in my Zazzle store. *note: If don't see you favorite Lunchbox Bunch character on a tee/bag/card - I can create custom products for you in a flash - no extra charge. Though I am most passionate about food photography, I do Editorial projects as well.